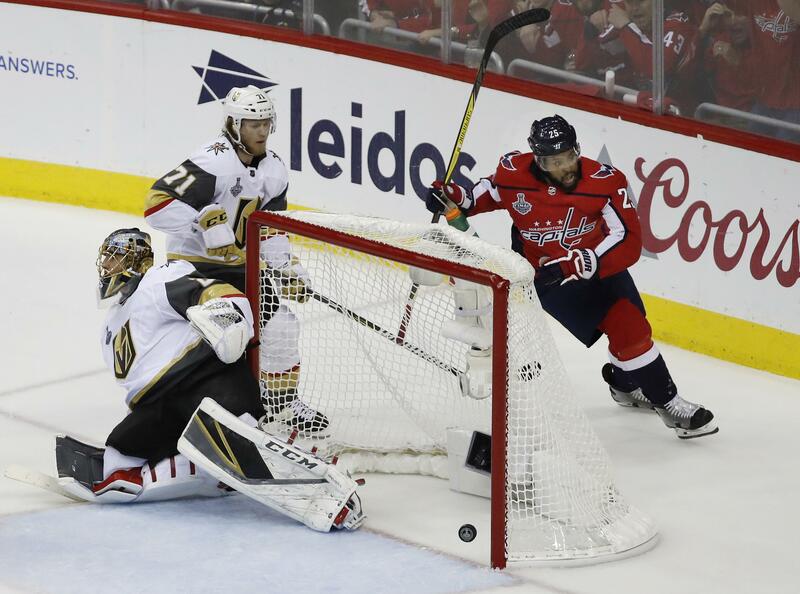 Tue., June 5, 2018, 10:02 a.m.
Fleury didn’t make the save on Devante Smith-Pelly on the doorstep in Game 4 as the Golden Knights fell behind 3-0 despite one of their best periods of the series that featured James Neal’s inexplicable shot off the post facing a wide-open net. As Gallant pointed out, Fleury had little chance on others as Washington put up six goals in a blowout. Published: June 5, 2018, 10:02 a.m.